On behalf of the Eastbourne RNLI I would to thank the generosity of the members and to those who helped with the collections that were made both at the Sumners Ponds Show and the Hailsham Model Show the club earlier this year., especially Peter Lockhart who donated the money raised from the sale of several boats. 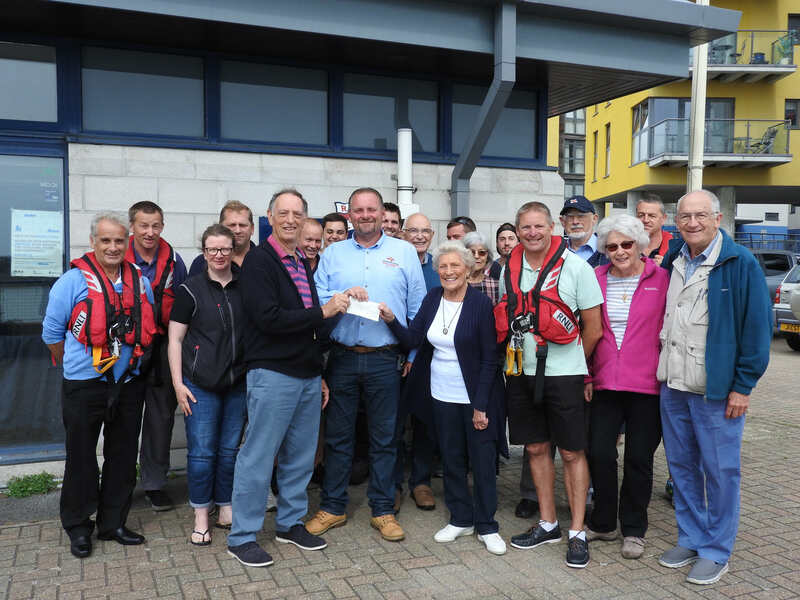 On Sunday 7th September we were able to present them with a cheque for £250 which will go towards equipment and crew training for the Eastbourne crew. I would like to thank the members who attended the presentation, Richard and Ro Bosly, Roger Lumley, Paul and Jean Guy together with myself and my wife Kim who got to spend some time talking with members of the crew and enjoying some light refreshments.